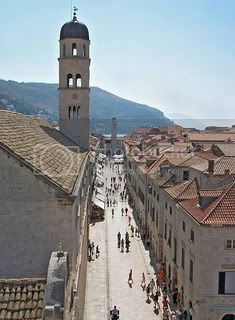 The city of Dubrovnik Croatia is along Pula Croatia and Hvar Croatia, one of the most beautiful cities along the Adriatic Coast, and one of the most popular places to visit in Croatia. 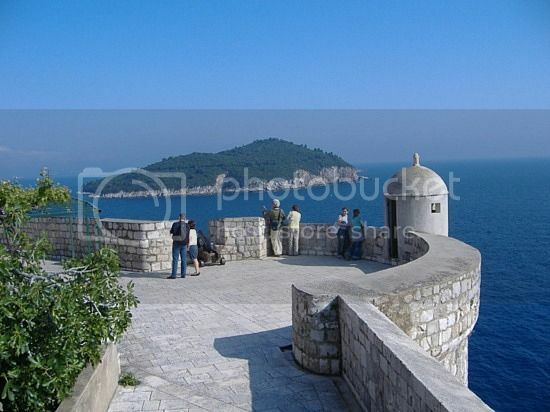 Dubrovnik is popularly known for its marble streets and the stunning Dubrovnik Beach which attract the rich and famous. Dubrovnik Croatia is also home to a rich history and beautiful Renaissance architecture such as the Sponza and Rectors Palaces, as well as 15th century Trsteno Arboretum, which is the oldest arboretum in the world. Apart from the many things to do in Dubrovnik Croatia, the city is an ideal holiday base for exploring Italian cities such as Manfredonia, Bari Italy and Andria Italy. The Croatian Islands are some of the most numerous in the world, and exploring one or two is one of the most popular things to do. The closest Croatian Islands to Dubrovnik Croatia are the Elaphite Islands, which consists of three islands (Kolocep, Lopud and Sipan). The Elaphite Islands are some of the less touristy of the Croatian Islands but offer an ideal getaway for those looking for a relaxing time. Ferries depart from Dubrovnik to the Elaphite Islands on a daily basis and Kolocep Island can be reached in just ten minutes. Taking a Dubrovnik Wine Tour is another popular thing to do in Dubrovnik, specially if you are visiting the city in the summer months. A typical wine tour can take you on the Elješac peninsula where you can explore the region’s famed wine cellars and vineyards, and sample one of the finest red wine in Europe. Banje Beach (Dubrovnik Beach) is one of the most beautiful beaches in Croatia and offers marvelous views of the cities Old Town. Banje Beach attracts many famous people so it is also one of the busiest beaches in Dubrovnik Croatia. Copacabana Beach, located in the Babin Kuk area, is one of the best beaches in Dubrovnik in terms of water-sport rentals and facilities. Apart from being popular among windsurfers, Copacabana Beach is also popular with families as the waters are shallow and the beach features slide chutes and toboggans for the little ones. The Old Town of Dubrovnik is considered one of the most beautiful cites in Europe and classified as a World Heritage Site. A visit to the Old Town is a step-back in time, and taking a stroll along the charming streets is one of the most popular things to do in Dubrovnik Croatia. One of the most popular things to do in Dubrovnik Croatia is to visit the Trsteno Arboretum, which is home to two stunning five-hundred year old trees standing over sixty meters high. Also, within the arboretum, there is a beautiful Renaissance park which contains hundred of different exotic plants as well as Renaissance statues. Those interested in Croatian history and architecture will enjoy a visit to the Monastery of the Friars Minor, which is home to the oldest-operating pharmacy in Europe. The monastery also features a museum where you can see old pharmacy items, manuscripts and paintings. The shopping scene in Dubrovnik ranges from local markets and boutiques to shopping malls. 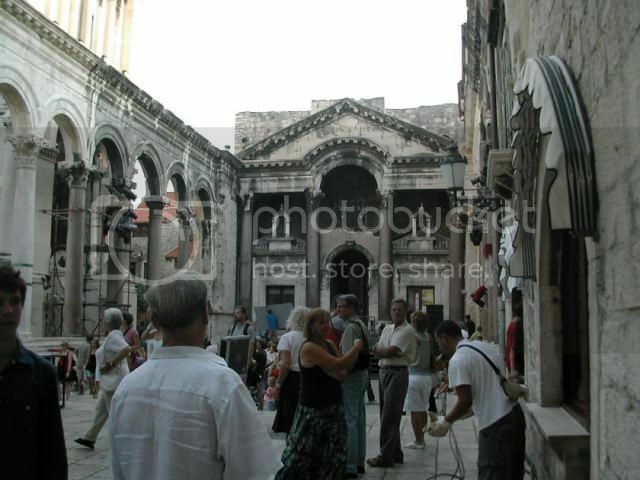 In fact, souvenir shopping is one of the most popular things to do in Dubrovnik Croatia. One of the most popular souvenirs to shop for in Dubrovnik markets it's handmade embroidered items such as table cloths and aprons. For instance, the Gunduliceva Square market is a great place for souvenir and local produce shopping. Those of you interested in mall shopping, the city of Dubrovnik is home to a few shopping malls. For instance, DOC Kerum shopping center (the biggest one in Dubrovnik) features many popular department stores, as well as restaurants and bars, where you can enjoy a fun day out. Most of the nightlife in Dubrovnik can be found in the Old Town of the city, where you will find all sorts of bars and restaurants playing live music. For instance, Stradun is one of the most popular streets, in the Old Town, where most people hang-out, and it is also where you’ll find most of bars, restaurants and cafes in Dubrovnik. If you are looking for a livelier nightlife, the Babin Kuk area is home to a handful of discos and nightclubs such as the popular ‘Exodus’ club. Also, Copacabana Beach is in the area and it is also another popular spot to hang-out. At night, Copacabana turns into a vibrant and fun place as the beach fills with small bars and small discos. The Dubrovnik Summer Festival, held in July, is one of the most popular cultural events in Dubrovnik where you can enjoy a myriad of musical and theatrical performances such as the prestigious Hamlet play. The Dubrovnik International Film Festival, held in May, is another popular event and last for five days. At the event you can enjoy local and international Indi movies, as well as film-related competitions.